Leadership Team, "What's in it for me?" ðŸ˜±ðŸ˜±Lay the Foundation sold out on the first day of enrollment so we opened another class for October and 1 spot remains. If the spot was snagged or not- this blog is necessary... for the fortunate individuals that are going to embark on this journey together. I CAN NOT WAIT TO MEET YOU!!!!!!! "So I sign up my 2-5 people and we experience this 3 week course together. What's in it for them?" 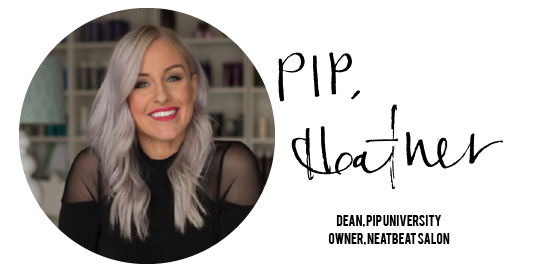 "How do I get them engaged, to feel like this is a huge opportunity they've been given and see the value in it for the salon and for them?" You know I had to make a video. Because honestly, not only is this a rare rare experience for the salon owner and team but it will have massive, intimate transformation on these 2-5 people. You have every bit of my word. Show this to your team if you're about to take the plunge but this is what you were questioning. It's time to take your team and company to the next level and what got you here wont get you there.